Marbling is the art of paint on water. In this class, you will learn how to properly mix thicken water called carrageenan and how to transfer the painting to paper (or other surfaces such as wood). 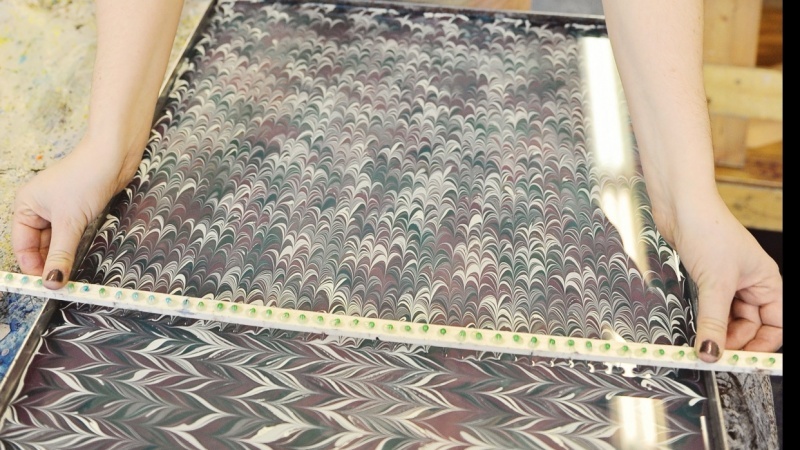 We will explore how to make the four main marbling patterns -- stones, git-gal, nonpareil and chevron. The end project will be a one-of-kind piece of art.